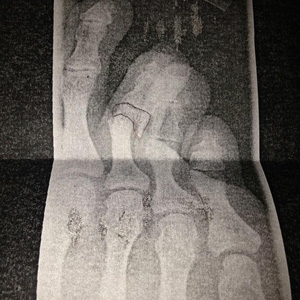 We're very sorry to have to announce that Muse's forthcoming shows in Oslo, Stockholm and Malmo have been cancelled as Matt has broken two bones in his foot. The band have therefore made the difficult decision to cancel these gigs as they feel that they will not be able to do justice to their live show and the fans who have bought tickets with Matt performing on crutches. Muse would like to apologise to all their fans who have tickets to these shows. Refunds will be available from the point of purchase. Matt's progress will be monitored over the next few days, but the remaining dates on the tour are still scheduled to go ahead as planned. As soon as we have any news it will be posted on the Muse website, Facebook and Twitter accounts.